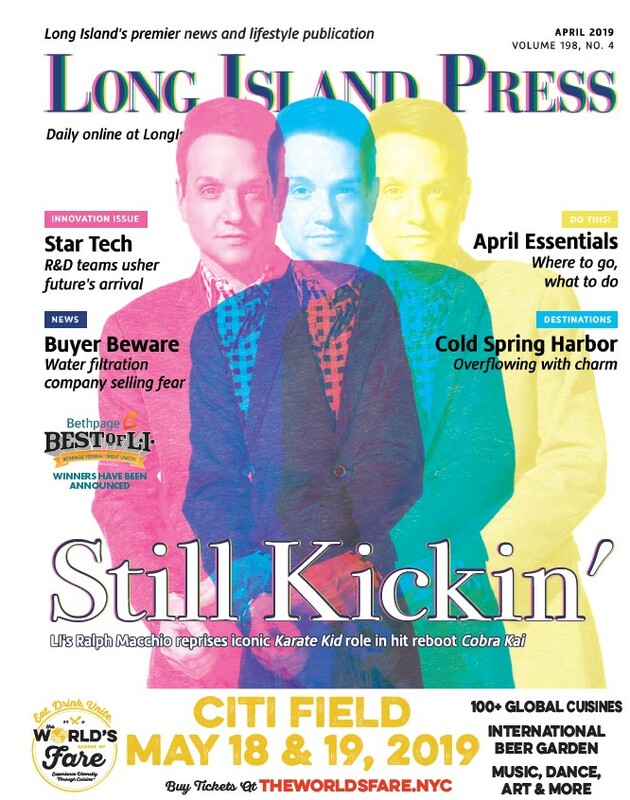 Nine Days, the Long Island-based band best known for their late ’90s pop hit, “Absolutely (Story of a Girl),” is back and better than ever after a 10-year hiatus. In advance of their July 16 album release show at the YMCA Boulton Center in Bay Shore, the Press spoke with the band’s lead singer, John Hampson, and lead guitarist, Brian Desveaux, to discuss their upcoming album, Snapshots, as well as working with legendary music producer Jim Scott and their relentless commitment to making music. 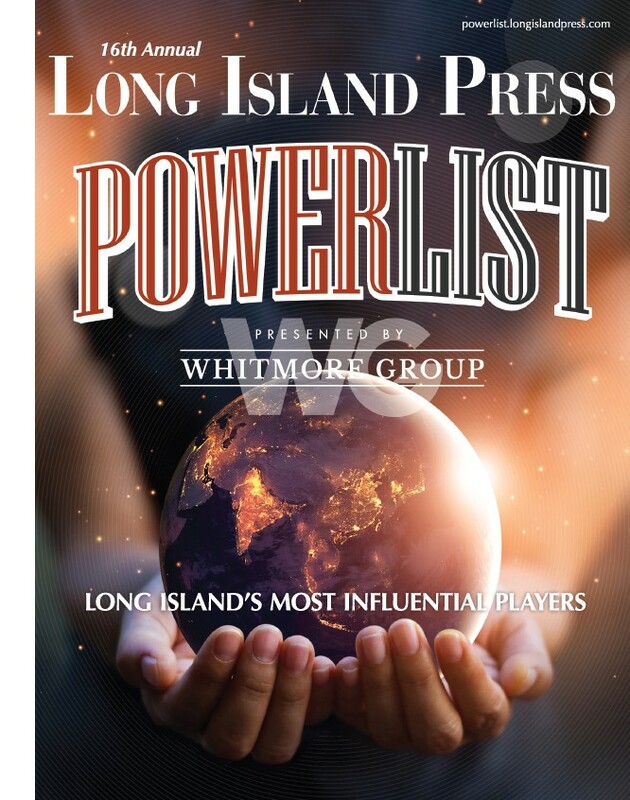 Long Island Press: You guys are releasing a full-length album after 10 years out of the music scene. A lot has changed. How do you think your new album will invite new listeners? Brian Desveaux: The single “Green light” went to radio mid-June, so people are going to start hearing it. There’s also a new, re-recorded version of “Absolutely (Story of a Girl),” and it’s much more alive and in-your-face. That’s kind of there to remind people of who we are, since we have been out of the scene for a while. It’s definitely a lot of new music, and it’s closest to the last album, kind of going back to our rock sound…I think people will like it. I guess we’ll see. We did some recordings down here [in Nashville] in 2013, and we talked to some people I knew. John came down. It’s been about a year and a half, and we’re just so pumped to release this. It’s physical. It’s ready to come out. LIP: Brian, you separated from John to work on your country music. Does that mean there’s a strong country-influence on the album? John Hampson: Making a record is a long process. It’s not like we jumped into this and said, “Hey! Let’s go write a whole record in Nashville!” It was a very natural progression of writing and music. We haven’t put out a record on a label in 10 years, but we still always wrote music. We still recorded music. We still played. I think this was just the natural path of the band. In the end, we not only wrote the record in Nashville with these other guys—which was an awesome experience—it always had to feel like us. It had to sound like the band. Everything had that authentic stamp of connection…Like, “this is a song that feels like me,” or, “Brian wrote this for himself,” and then we bring it to the rest of the band, and everyone puts their two cents in, and then it sounds like Nine Days. So, in terms of Nashville country, the elements are there, but it’s not the focus. It’s just the way it came out. LIP: What motivated you to get back into the music scene after a 10-year break? JH: You got to go back 10 years ago when we wrapped up our time at Epic Records. Everyone in the band kind of realized how difficult the whole process was…I’m not sure how to phrase it, but it felt like pushing that boulder up a hill again. And I think we all felt like, “Oh, crap, I don’t know if I want to do that again.” We all kind of wanted to figure out our lives…Brian went to Nashville. Some of us started families. Some of us started other careers, but none of us ever stopped loving music. I think it had to happen when it happened…We continued to write. We put out an EP, but it just happened that right around 2013, we all reached a point in our personal lives where we felt like we could make Nine Days a priority again. It took a couple years of playing and writing and figuring out what we wanted to do with it, in terms of meeting the right people. It was all a really natural progression of events where we found ourselves really investing in the band, and it felt good, so we kept doing it. BD: It’s like a cycle, I think. Fans of our genre of music, way back in the late ’90s, I think they grew up, too. And we’re recognizable to them as Nine Days. I think it’s just perfect timing for this release. LIP: How does your new album, Snapshot, sound different from your past work? JH: Nine Days really started being a band at this place called the Village Pub in Port Jeff. We did that for about a year and a half, and that was an incredible way to have the band grow. When we started up, we were more acoustic-driven, more Americana, indirectly influenced by Bob Dylan, Bruce Springsteen, Neil Young, Counting Crows, and we were trying to tell stories. So, when “Absolutely (Story of a Girl)” blew up, it was an anomaly. It was this three-minute, great pop song, which was awesome, but the band always had its roots in Americana songwriting. Going back to writing with these people in Nashville, it didn’t feel foreign; it felt like we had gone back to how we originated and started the band…So we applied 20 years of musical wisdom to our original sound. For us, it doesn’t sound very different from everything else. It just feels like a 2016 album. It feels great. I love the sound of the record. It’s really strong all the way through the songs. LIP: Back in 2000, The Madding Crowd became a certified gold album due to the success of “Absolutely (Story of a Girl).” Which song do you think is going to be the hit this time, besides the encore version of the same song? BD: I’m hoping it’s “Green Light” because that’s our single. There’s other stuff on this album, though, that’s also story-telling. There are couple others that I think are catchy tunes, like the song on there called “Two Straws,” which we recorded in Nashville. But you never know what’s going to be a hit. It could be anything. JH: I think our goal is to really have this record do what Thriller did in 1983 and have a top Number One hit, and sell 30 million. Totally. No, I’m just kidding. BD: Hey, you gotta shoot the moon, right? LIP: Snapshot was produced by Jim Scott, who’s worked with Wilco, Grace Potter and others. How does this raise the bar for your new album? JH: I loved working with Jim. BD: Jim was awesome. He adapted to us. JH: He had a lot of great motivational sayings in the studio…Helpful, believe it or not. We had talked to a lot of different producers, and there are a lot of great people out there that we love to work with but we wanted to work with one guy. A lot of pop bands today work with multiple producers. We just wanted one guy to be the last set of ears. We had a year and a half of songs and demos, so we needed someone with a fresh perspective. Jim’s track record [of working with artists] is amazing. If it passes his smell test, you know the album is good. The way that he talks about making a record in David Grohl’s Sound City documentary is exactly how we wanted to make this record, and how we like to make them. We’re all live. We’re all in the studio. We’re all playing at the same time with a vintage console with two old microphones. LIP: Are there any misconceptions about your band, or yourselves, that you want to clear up? JH: I don’t even know what the misperception is other than we sing only that one song. We are classified as a one-hit-wonder, and we had one hit, so, yeah, sure, it fits. I’m not going to argue the tag. But I’m a fan of music. I’ve definitely bought albums in my life that had one good song on it and the rest was crap. So, if anybody out there happens to perceive us like, “Oh, that’s probably what their records are,” that would be a misperception. I think our band is a songwriter band. We happened to have one top-hit song. But at the end of the day, we’re songwriters. Brian and I teamed up, and we’ve been playing since we were basically 18 because it just felt right, and it was natural. So, every song is a good song. Whether they’re hits or not is irrelevant. If you’re just looking for a great album, this is it. LIP: Do you fee like when you were starting up, in the beginning of your music career, your goal was more oriented toward being successful? BD: When we started this band, we actually just spent a year writing before we even recorded. I think we grew up listening to albums. And the first couple of albums we put out, we actually put inside the records, like, “Hey, this isn’t our big album. We’re not trying to get a record deal. We just wanted to record some music.” So, for the first few records, we were just making music and putting it out there and playing a lot. I guess, at a certain point, after three records, we really started to showcase ourselves in NYC, making contacts and such. But in the beginning we were just making music. JH: I agree, I think Brian said it right—I was just having this conversation the other day—we had an amazing experience writing and recording the record. Whatever happens after this isn’t really in our control anymore. We let it go into the world, and whatever happens, just happens. That’s one thing that’s different now than when we put out The Madding Crowd. Now we can truly be happy with our record and not be stressed about what happens next. LIP: I always ask artists what they think their lives would be like if they went down a different career path. But I feel like with you guys you went on a different path and simultaneously worked on music. Would you agree? JH: I think that’s exactly what we did, and it kind of came out the other side a little bit. Brian said it before. I think it would have been amazing if we could sustain the band as if it was our top priority. Some of us weren’t willing to make the sacrifices necessary at that point. Like, I knew I wanted a family, and I didn’t want to struggle to support them, or not see them. I didn’t want to be an absentee dad, and I’m okay with that decision. It’s not easy to sustain a career in any artistic endeavor. It requires a ton of energy, effort and sacrifice. I sometimes wonder how much easier my life would be if I didn’t even like music. But I love it! I can’t get away from it. It’ll always be in my life. BD: I came to Nashville to write the most music I could. I figured I’d never leave Nashville unless I quit music completely. But I realized that’s never going to happen. It’s always been there since I heard my first ever KISS record. It’s not even like, “music is life.” It’s just like, “music is us.” We’re never going to let go. LIP: Why is music important to you? JH: I teach English, and that’s what I did as my second career. I always tell my students…I don’t remember a time in my life when music didn’t do something strange, wonderful and all-consuming to me. Music has always been crucial. It’s impossible to answer because I literally can’t remember a time in my life when music didn’t move me or affect me. It’s always there. I’m not sure why. It just is. BD: I’m not sure how to answer this. It just is. The thought of giving up—not just trying to make it as a songwriter, just taking it out of my life—is impossible to consider. I would still walk around, or drive in my car, and music would pop in my head. And that’s where a lot of my stuff comes from. It’s inside of me.